Background. Previous studies have shown that the public perception of anaesthesiologists’ duties regarding perioperative management lacks a good understanding. 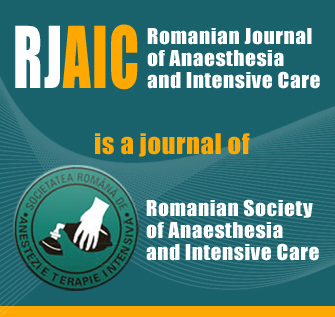 The aim of this study was to assess the public perception of the anaesthesiologist’s role before, during and after surgery, in Romania. Method. The prospective cross-sectional study was undertaken between January 2015 and August 2016. A questionnaire that comprised 23 questions was uploaded on Google at https://docs.google.com/forms/d/1KxC8jSYydhEu3pn0Hr0LHEsuCEQLSEHQqUo_HzrHuw8/viewform. The link was forwarded on-line randomly (mail, social media). The questions were structured based on current literature. Inclusion criteria were people aged >15 years and not directly related to any medical activity. The answers were anonymously registered, in real time, in an Excel format, used later to process the statistics. in charge of intensive care patients. 79.5% of respondents are willing to receive from their anaesthesiologist detailed information, regarding anaesthesia and postoperative care, before surgery, and consider that more publicity should be made regarding this profession. Conclusion. The public perception of the anaesthesiologist’s role in Romania is inaccurate in spite of the fact that a large group in our study comprised highly educated people living in urban areas. We consider that further strengthening of the anaesthesiologist/patient relationship and an increased media exposure of our specialty would help to improve its social perception.